Class timings are from 8 a.m onwards to 4.40 pm, given a great load of projects and assignments. Quality is very nice and method is also fine. There are very few students societies. Zest is cultural event and amod is gaming one. A little bit boring and nothing new is there to do in college. Class timing are from 8:00 am to 4:40 Pm, you are supposed to submit one mini project in semester 6 ,exams are in the end of semester. In college you are learning and exploring very new thing. In college we have many clubs like literary, sports, dance, music, technical etc. Main festivals is zest which is the cultural fest, I have won many prizes. 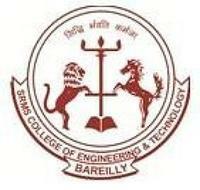 srms college of engineering always aims to make its students focus on academics at priority, means you are never forced to keep questions and querries packed into the mind, but encourages to open them and solve them in the best possible way. There is a club that works on the principles of democracy, like every student is free to be a member of it, named VERVE. There are 9 clubs constituting VERVE. VERVE organises cultural fests like ZEST & SPANDAN in the college itself at a national level, technical fest like TECHVYOM , at national level, sports fest like AAMOD, and that too at national level. Life always remains joyful at srms , as you are always furnished to become better at all levels. Class timings are very long and hectic. The method and quality of teaching are getting poor day by day. It does have different clubs in the college where the members are the students themselves, who are given their responsibility to perform different tasks in different college fest for the college. Class timing is from 9:00 am to 4:00 pm. Quality and method of teaching are good. There are different clubs and association such as Literary Club, Robotics, Dramatics, Dance, music. Classes start by 9 am with a lunch break in between There are regulars assignment test and project. 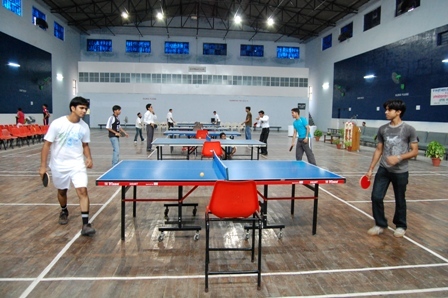 There are various clubs for students, There is even a sports day. The college life is awesome. The class schedule is hectic as it begins at 9 in the morning and goes o till 4:30 in the evening. Life is good with a lot of facilities and cavities all year round. There is a sports fest, cultural fest, tech fest and a management fest. Shri Ram Murti Smarak College of Engineering & Technology has an independent residential campus spread over 35 acres of land with all weather roads, lush green lawns, playgrounds, Multi-Purpose Hall, Gymnasium, Squash Court and 53020 sq.m. 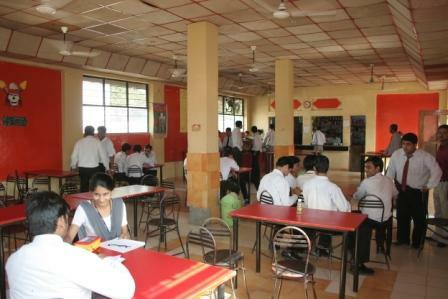 of built up area on the campus. 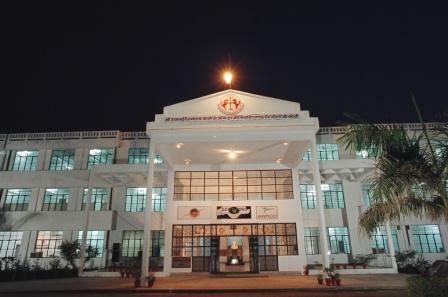 The campus is aesthetically planned and designed with exquisite facilities. SRMSCET has an independent residential gigantic campus spread over 35 acres of land with, Hostels,Playgrounds, Cafeteria, Multi-Purpose Halls, Gymnasium, Squash Court surrounded with lush green lawns andpollution free surrounding, having 40000sqm. built-up area, which is aesthetically planned and designed with allfacilities. 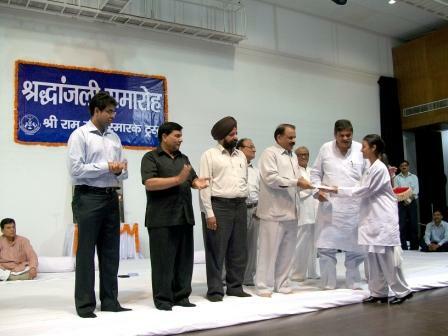 The Trust recognizes all the meritorious students every year on the basis of their annual result of the University. For this the Trust has earmarked Rs. TWO CRORE to be distributed to the meritorious students of the Trust Institutions every year. Students Securing 75% or more marks in aggregate in a professional examination will get a scholarship of Rs. 2,00,000 /- and a certificate of appreciation.